So how did I become a runner you ask? Well, running and I have dated for well over a decade. We had a few times when we got more serious, and I ran a few 5Ks, but inevitably we would part ways again. Then, when we got together again in August of 2012, we really clicked. I'd go out for a run and felt like I could run forever. I got in that "zone." Mind you, it wasn't easy. Over the course of the next few months, I injured my knee and my foot (more on that later). But in October, we decided to get hitched. 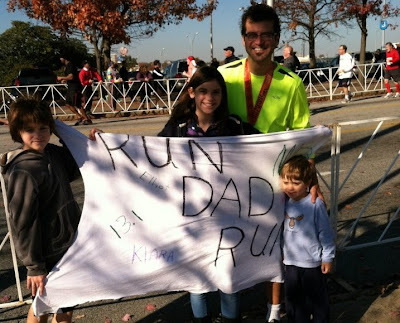 We set a date - Thanksgiving Day - at the Atlanta Half Marathon.